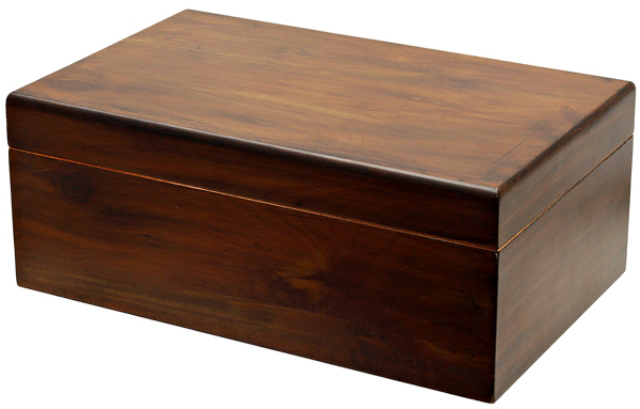 This rustic looking humidor is complemented by an aged wood veneer and darkened edges. Includes a Spanish cedar interior complete with humidifier, hygrometer and divider. 13 1/2" x 8 1/2" x 5"